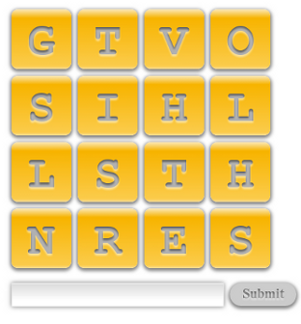 Zoggle, the ultimate word game! 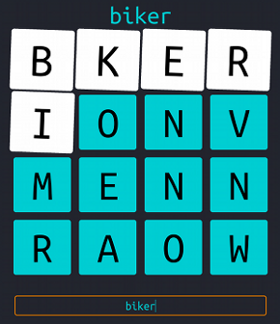 Zoggle was my very first app on Google Play, and also happened to be the topic of my first blog post over a year ago: http://www.zolmeister.com/2012/04/zoggle.html. I finally got around to giving it a proper upgrade by rebuilding from the ground up. Zoggle is now better than ever, with a new theme, less bugs, and an illustriously impeccable code-base. Now, after 6 days and 74 commits (and many hours of lost sleep), I finished re-writing Zoggle using AngularJS, jQuery, Lo-Dash, and Grunt to create a highly maintainable and scalable application. So, without further ado, let's go over some of the key aspects of the re-write. 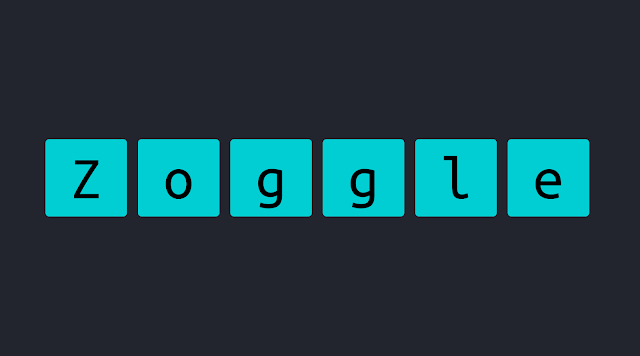 While searching NPM for a boggle library (before writing my own), I came across Boggle which leverages tries (mentioned in my original blog post) for optimal performance. However the library had some issues (no 'Qu' single tile support), and a poor dictionary list. I contacted the developer bahmutov, got the code moved to GitHub, and added the features. (He was also awesome enough to let me push to npm and the core repo, so you may want to check out his blog). What can I say, except that AngularJS is absolutely amazing! It has a few bugs (you've been warned), but it is incredible to work with and makes webdev even more fun and exciting than before. If you're new to Angular, I recommend 25 days of AngularJS, and checking out the Angular-Seed project. I won't be writing a tutorial, but some things to watch out for. Data-binding on primitives (string, num, bool) doesn't always work properly. Update: updating primitives from views doesn't work as expected (more info). I could have rendered the board using either the DOM or Canvas (or WebGL) but I opted for using the DOM. One issue I ran across when writing the original Zoggle was that touch-move events do not cross over elements. This meat that I had to use the document.elementFromPoint() function in the original Zoggle. Unfortunately, it does not perform well on mobile, so this time around I decided to overlay a div over the whole board and calculate the position of the mouse over the elements manually. Unlike the non-performant code in the stackoverflow answer, I cached the position of the elements so that detection would be much faster. Another amazing new feature I added was highlighting as you type. The code for this is a simple depth-first search, except that instead of searching it adds every valid visited node as selected. For any production application, minifying and concatenating JS source is essential for an optimal user experience. To automate the process, I used Grunt which is an amazingly powerful tool for running a multitude of tasks. "postinstall": "echo postinstall time; ./node_modules/grunt-cli/bin/grunt"
A few things to note though. AngularJS injection relies on the variable names in functions. These change during compression, which is why it is necessary to use ngmin to prepare AngularJS code for compression. Additionally, the Angular-Seed project adds unnecessary files under /lib which must be deleted. Minified code (.min.js) (and source maps) should never be committed to source (add them to .gitignore), and should always be generated at compile time (by Grunt). Oh, and AngularJS is picky about what order you need to include jQuery (before Angular), or you may get unexpected errors.